A rather rare species of mires, swamp and lake shores. The plant grows to about 3ft high and has distinctly hairy fruits. 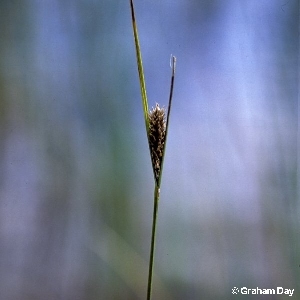 All names: Carex lasiocarpa Ehrh.